Home > Customer Reviews > I Am Absolutely in Love With the Car! I Am Absolutely in Love With the Car! Just purchased my first VW and I am absolutely in love with the car! Shaun & Julia made the purchase quick, easy, and fun! Thank you! The service guys always provide top-notch service and trustworthy advice when I take my Jetta there for service. Best service, nicest people. Just purchased my second VW from Capilano. Nothing but good things to say about Garry and the team. Just bought my 2016 GLI from here. The service was great and the staff were very friendly and knowledgeable. I really felt like I was taken care of. Highly recommend buying a car from them. I will definitely be coming back in a few years for my next car. I just bought my first VW from the team at Capilano Volkswagen and had excellent service all around. They went to great lengths to find the specific model/package I was looking for in the colour that I wanted and gave me an excellent price on my trade-in. 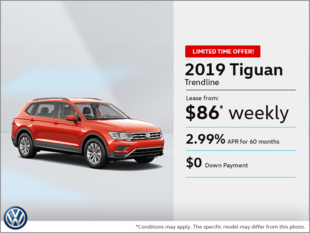 And although I already thought I was taking advantage of a great deal with the offer of 0% financing, I was surprised that the arrival of my car on the lot coincided with an additional promotion for bonus cash back! This major purchase of my first brand new vehicle was made easy by Garry, RJ, Julia and the team at Cap. Thanks so very much - I LOVE my new car!